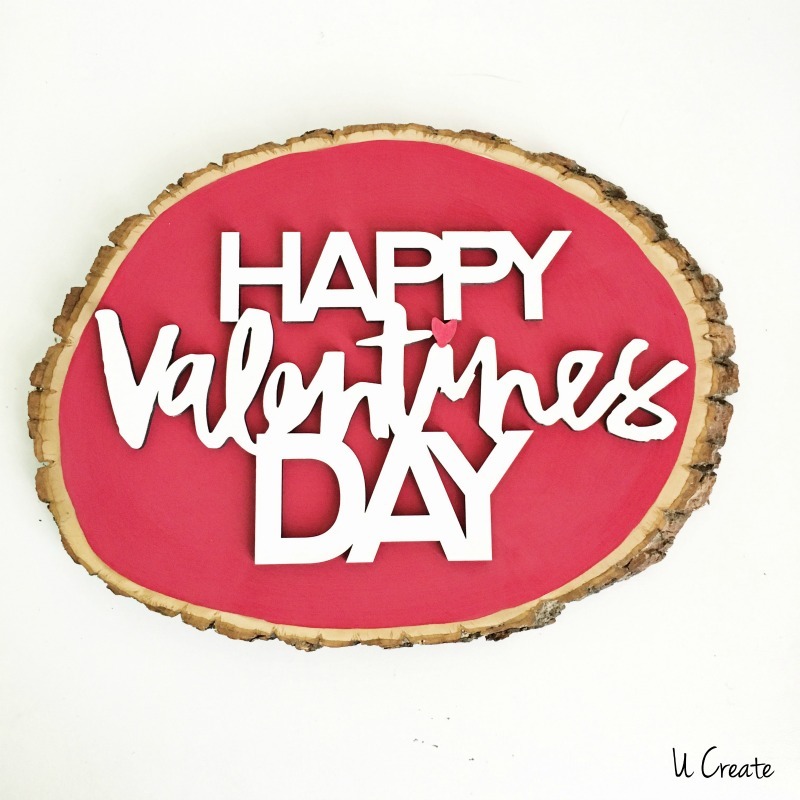 Who else is LOVE-ing all the wood slice crafts? 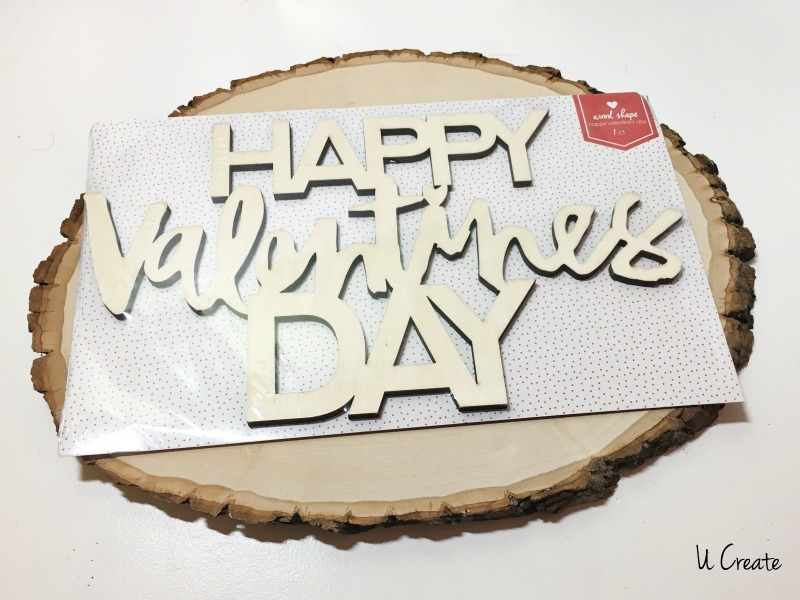 I have very little Valentine decor and decided this year I wanted to create a Valentine-themed mantel! I usually stick with a winter theme January-March, but wanted to change things up a bit. 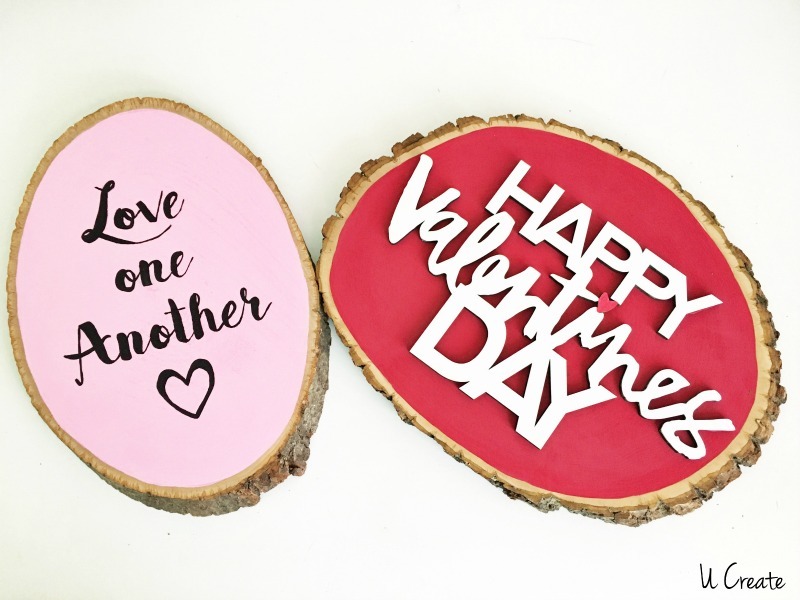 I found these two wood slices that have been sitting in my craft room for a few months (well, I actually cleaned my messy craft room and found lots of things I forgot I had – anyone else with me?) and decided to spice them up for Valentine’s Day! 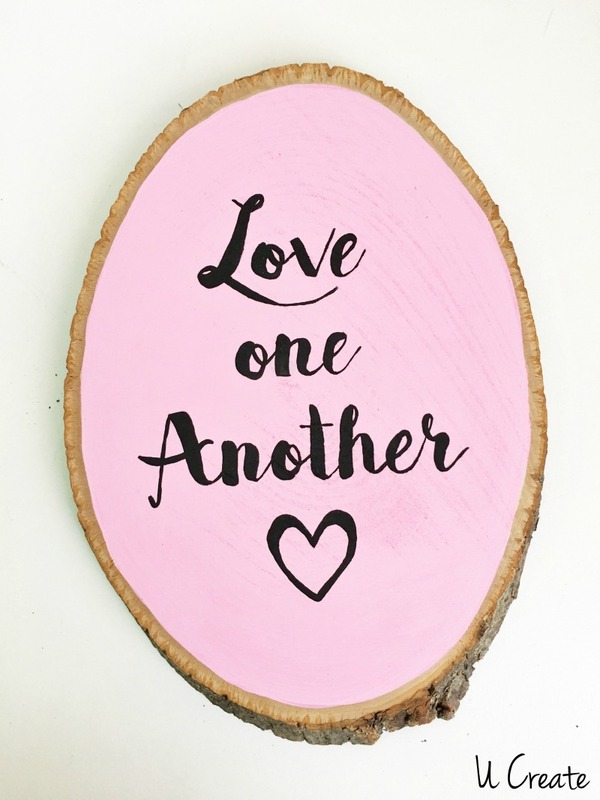 The first thing you need to to is paint your wood slices. I used two coats. Paint your wooden letters (I used white by CraftSmart). Oh and if anybody is wondering I bought this wooden saying at the dollar spot at Target. You can find wooden sayings at most craft stores. 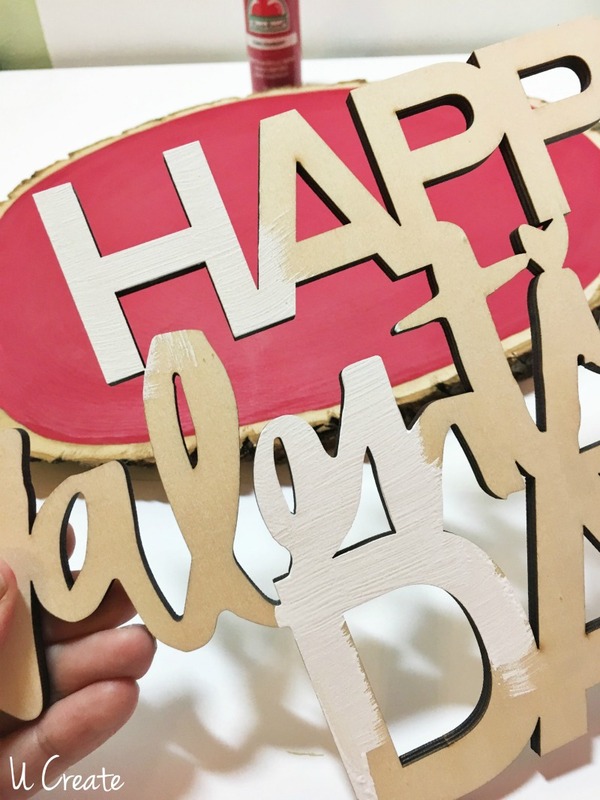 Let paint completely dry and glue with wood or super glue! I tried a glue gun and it snapped right off! 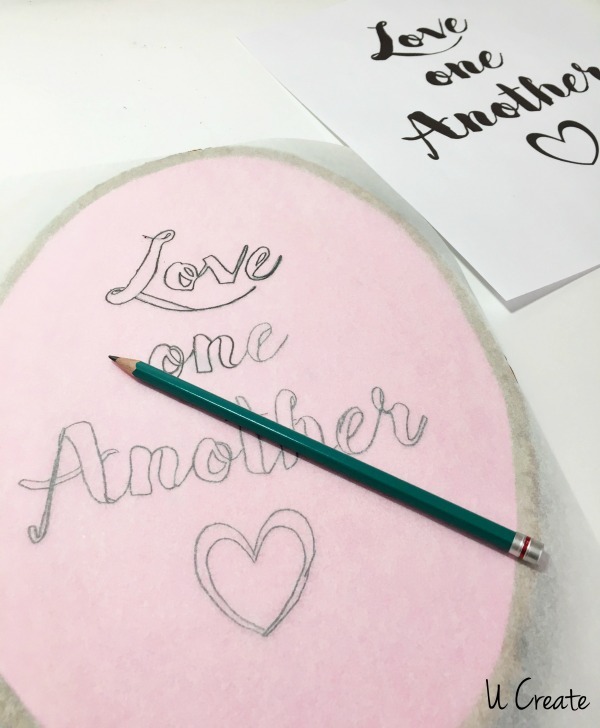 To make the “Love One Another” version by printing out the template and tracing the reverse side onto tracing paper. Next, trace the right side onto the wood. 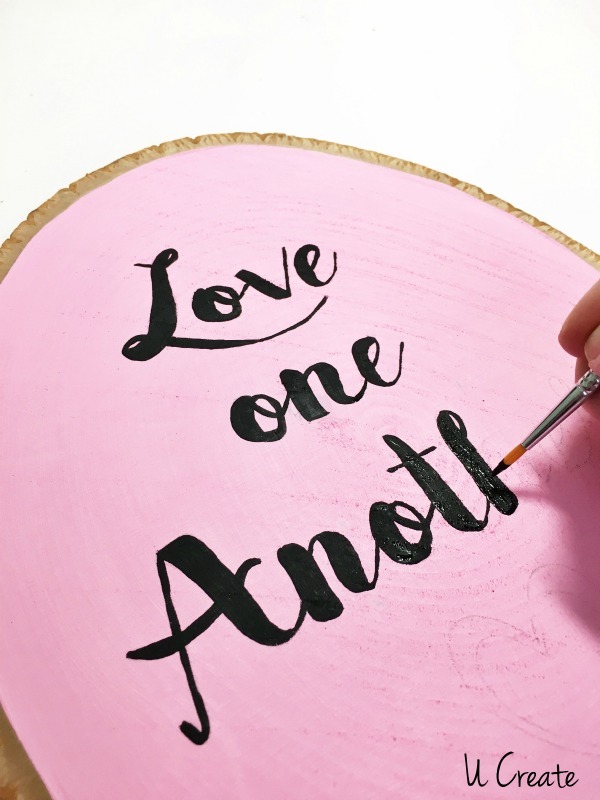 Paint the template using your small brush and black paint. I didn’t use vinyl (which would be easier) because I can never get it to stick to wood that has a texture. You could also use a Sharpie black oil-based marker!